In technology, things change rapidly. And, in a move that’s sure to irritate some Windows Live Mail 2012 users, Microsoft is pulling support for Outlook.com. In the technology world things are constantly changing, fast. And, in a move that’s sure to irritate some Windows Live Mail 2012 users, Microsoft has decided it’s pulling support for Outlook.com. Microsoft is (slowly) rolling out a new Outlook.com infrastructure that is built on top of a foundation based on Office 365. Windows Live Mail doesn’t support the protocols for this new foundation so you’ll no longer be able to send or receive Outlook.com email after your account gets the upgrade. Earlier this year we introduced a new Outlook.com and began rolling out an exciting new email and calendar experience to users worldwide. So far we’ve upgraded more than 175 million accounts and each week millions more people are using the new Outlook.com to collaborate effortlessly, focus on what matters and get more done. This new Outlook.com update seems to be rolling out at a snail’s pace. So, if you haven’t seen it yet, you should still be good to go and use your Live Mail the way you have been. So what to do? Microsoft, of course, wants you to use its built-in Mail app in Windows 10. Or, you can always use the web version. 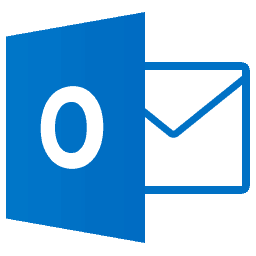 To make using the web version easier, check out our article on how to pin Outlook.com to the Windows taskbar. Also, if you would like desktop notifications for it and other email services, check out the free utility called Howard. Microsoft shipped Windows 7 with a minimal amount of native programs. That’s why it released the Windows Live Essentials pack as a separate download. At the time, it included a lot of awesome programs. It includes programs like Windows Live Mail, Live Writer, Movie Maker and others. However, the company hasn’t updated the Live Essentials suite since 2012. For a quick look at what you can expect from the new Outlook.com, check out the video below. The blogging platform Live Writer is also a casualty of the Windows Essentials lack of support. It still works, but I’ve already made a change. Check out how to post and publish a blog post from Microsoft Word. I am very disappointed in this direction. The Mail App that comes with Windows 10 could never have been tested and approved by anyone that would use it. It is terrible. One of the things that I was looking forward to with Windows 10 was the updates to the Windows Live Essential package. Now I see where that is going. I used Mail and Photos daily and will be very sad when they are no longer available. Don’t get me wrong, I enjoy progress but when the programs they release are many steps backward, it’s not so enjoyable. Oh, well, they were free for a long time. I am a senior citizen and would appreciate someone helping me with a windows 10 question. I have windows 7 and use Live Mail for my email. I am one that likes to keep everything. I have thousands of email messages received and sent, and I want to keep what I have. I will probably have to upgrade to Windows 10 before July 29. My question is: Will I still be able to use Windows Live Mail as my email program with Windows 10? Will I be able to keep all my emails? Sorry if this is too late but I recommend Mailstore Home as an excellent mail backup tool. It is free for home use. Ian, it looks like Mailstore Home provides backup for mail. I’m guessing James Clark would like the ability to view and search all his mail folders. Will WLM function in Windows 10, as it currently does in Windows 7? If not, does anyone have an alternative mail client for W10 that will do all that WLM currently does? Thanks. It is a bit odd; Microsoft still provides POP3 and IMAP support so other email clients (WLM excluded) SHOULD be able to access MS email. Thunderbird is the most popular non-MS client. But there are others. I was always told if it is not broken don’t fix it.Live mail works just fine . I have been using Windows Live Mail since Outlook Express expired and it has been fine and works. The Mail program that comes with Windows 10 is very poor by comparison. My main default email account cannot, for some reason, be retained by Mail and constantly asks me to fix the account settings which means typing in my password and saving it. However a few minutes later it tells me my account settings are “out of date” again. I retype the password back in and this never stops! Please can Microsoft keep Windows Live Mail which works. Why replace something that works with something that doesn’t? It’s forcing us to either 1) upgrade to Windows 10, which I dont want to do or 2) PAY for office 365 to use Outlook…..after 1 fee yr or 3) find anot her mail app. I heard Microsoft was upset because us windows 7 people weren’t migrating to 10. The % migrating was less than 59%. The windows 8 people are moving to 10. I saw 1 article that said we could still use windows live if we changed the server to POP because they need to support this because of other email gmail etc. Can anyone confirm this? pop is still supported; in the webmail interface, go to options and scroll down to where it says pop/imap. Then, on the next screen you will find Pop3 switched off. Switch it back on with the ‘radio buttons’ and check the other options are as you want them for pop3. Save the settings at bottom of screen and Log out. Hi Ian ,thank you very much for the help on how to change to pop. Mike. 1) The article states “For a quick look at what you can expect from the new Outlook.com, check out the video below.” I don’t see the video below. Where is it? 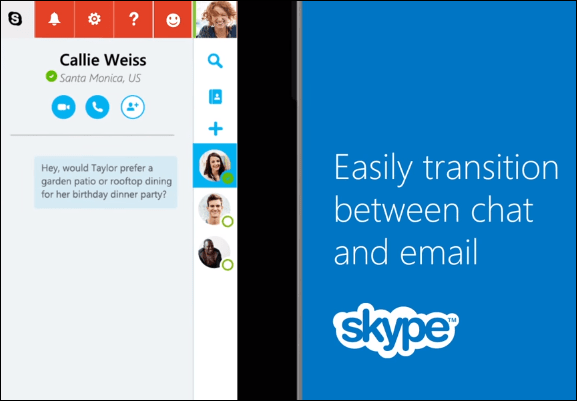 2) Who can we contact at Microsoft to express our displeasure with this change? Thanks for pointing out the video disappeared. You should see it now. If you’re running Windows 10, you can use the Feedback Hub to express your displeasure with the change. Ridiculous. Would have been nice if people using Outlook were told about this change. I have a new laptop with Windows 10 and I can’t access my email. Geesh… ridiculous. Complete crap to force people to upgrade to a inferior OS that Microsoft will likely charge for updates with. I have no interest in a touch screen OS considering I don’t have a touch screen. Microsoft needs to do what they do and stop trying to copy cat there competitors. Guess they want me to switch out my email address to a google mail one so I can use live mail. Already ticked that they put in that automatic update message in the windows 10 cancel update window. After ten or twenty cancels now its cancel now but install it on this day. Thankfully I noticed it after the fact and was able to kill it and then find a program to block it. I HATE the online outlook format. It is not user friendly. I have had a Hotmail.com account since1997. The format has changed many times and never has it been better which is why I stuck with the Exchange and later Windows Live. I tried set up accounts for sisters. It was terrible using the online @outlook. I gave up and set them up with Yahoo. That was easier teach them. I’ve used the Office blog template on a number of occasions and it works very well. However, I have always preferred WLW. I heard some tome ago that it was not going to be supported and had a look around for an alternative. I then found Open Live Writer (http://openlivewriter.org/) which, according to their website is ” … based on a fork of the well-loved but not actively developed Windows Live Writer …” It is the only thing I use now and works with most blogging platforms. I had Windows 7 and suddenly Windows Live email stopped working. So I reluctantly upgraded to Windows 10 and now it is working great! I never received any notices from Microsoft that my Windows Live was being discontinued so my question is……..
Will I be able to have continued success using Windows Live with my Windows 10 upgrade because it began working fine once I upgraded to 10 from 7. I have found that outlook.com does not work on windows 7 nor does it work on windows 10.
microsoft is not very user friendly…..or courteous….when it comes to letting us know about the changes. http://www.hotmail.com is working here. What error do you get?